Brian and Nestlie were destined to meet. 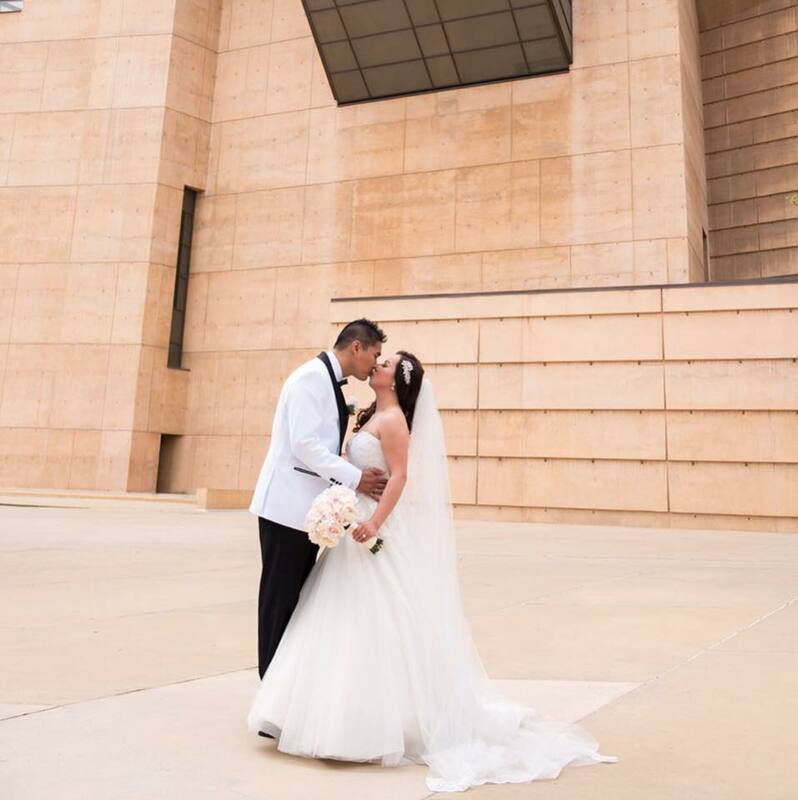 They were introduced through mutual friends at church and a few years later, they found themselves tying the knot with their closest family and friends in Los Angeles. The Ring: Brian picked out a gorgeous GIA Certified 1.20 carat Eighternity Diamonds and had it set in a floral motif ring for his bride. Nestlie's engagement ring is perfectly paired with a classing pave wedding band. As a man with finer taste, it was only fitting for Brian to pick out a wedding band with a quarter carat of princess cut diamonds.